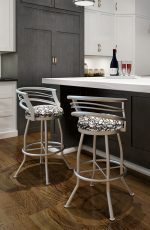 Baltimore’s edgy style and cutting-edge beauty reflects the ethos of Baltimore itself: resilience, style, and a personality all its own. 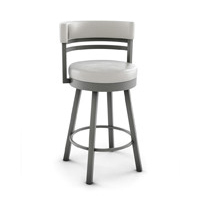 The curved metal back is clean, slim, and comfortable. 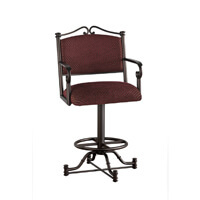 A generously upholstered seat keeps things comfortable. 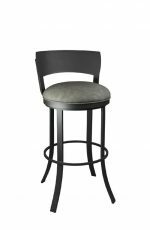 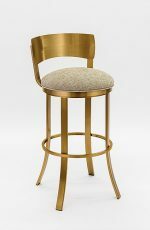 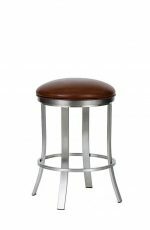 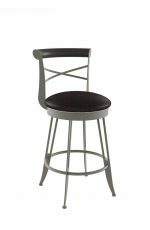 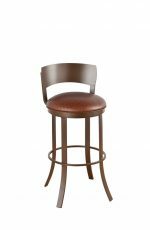 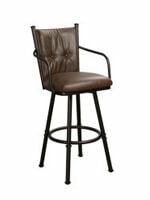 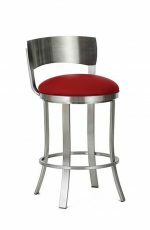 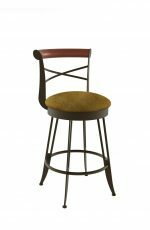 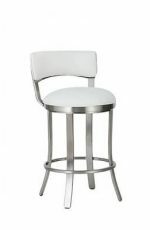 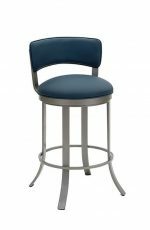 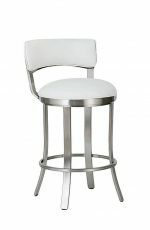 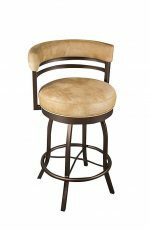 And the gentle outward taper of the legs and rounded footrest add timeless touches that offset the striking, clean lines of the bar stool’s seat and back. 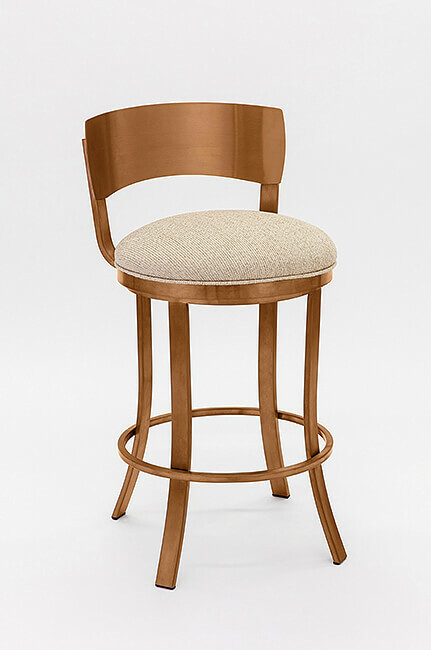 It’s the perfect marriage of form, function, and eye-catching style. 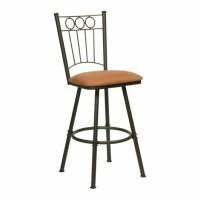 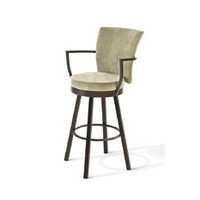 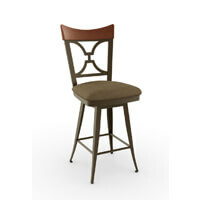 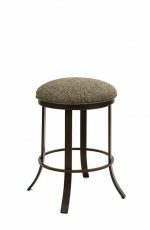 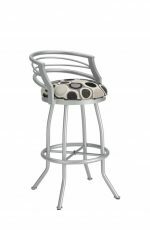 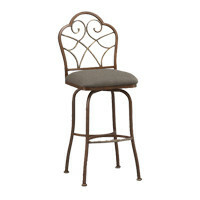 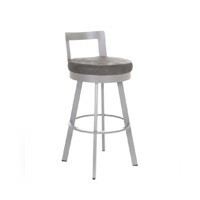 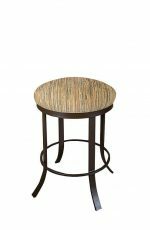 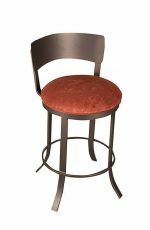 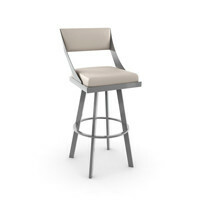 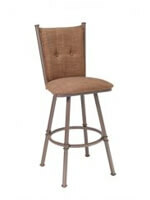 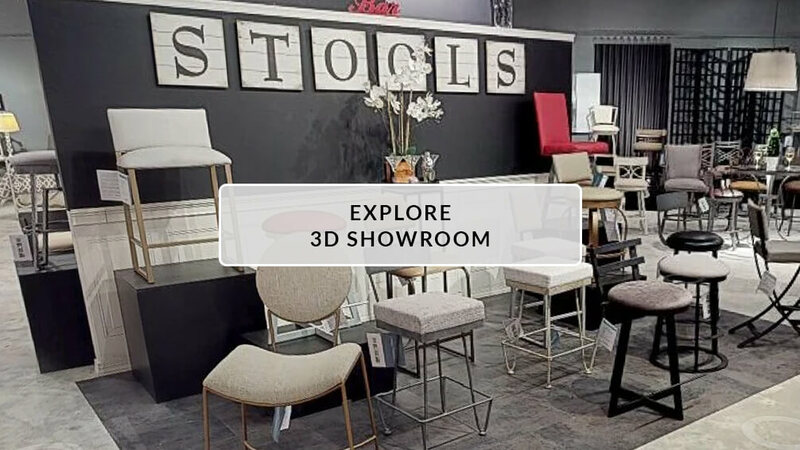 • For the Baltimore Swivel Stool in Copper Stainless Steel, you will need 1 yard(s) per chair.